Story: Defy the laws of gravity and take a moon shot in the Skylab. The captain of the milky way, your game will orbit the outer limits in the spherical space shield. 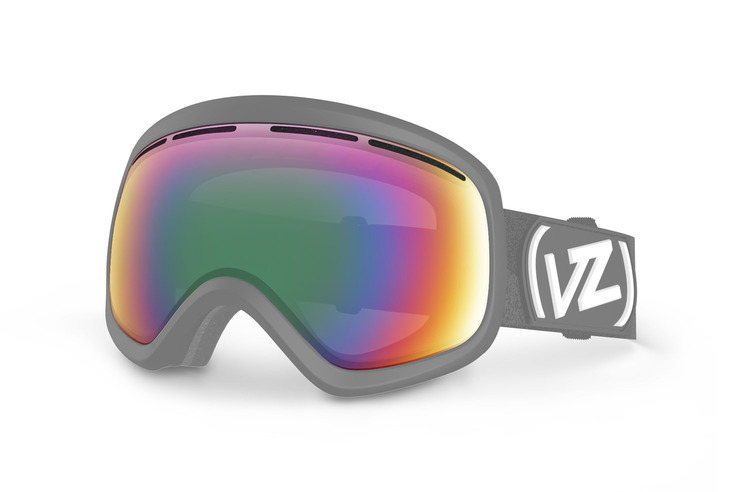 A dual anti-fog lens with flow through venting gives you the wide peripheral fields of vision and the visual acuity every cosmonaut needs, while the thermo-polyurethane frame and triple density face foam allow the goggle to fit in any condition, with or without a helmet. The Skylab will take you to the moon and back at a price that science doesn't understand. Specs: Ergonomic frame design. Thermo-polyurethane injection molded frame. 100% UV protection. Dual spherical polycarbonate lens. Maximum peripheral vision. Glaricade anti-fog and hard coated lens. Polar fleece lined, triple density face foam. Dual adjustable strap. Helmet compatible. Dual sleeve microfiber bag.